The winner of the Department of Science and Technology (DOST) - National Invention Contest and Exhibit in 2014, has developed a fuel additive that rearranges the molecules of conventional fuels that makes it more efficient to burn and have less polluting properties. 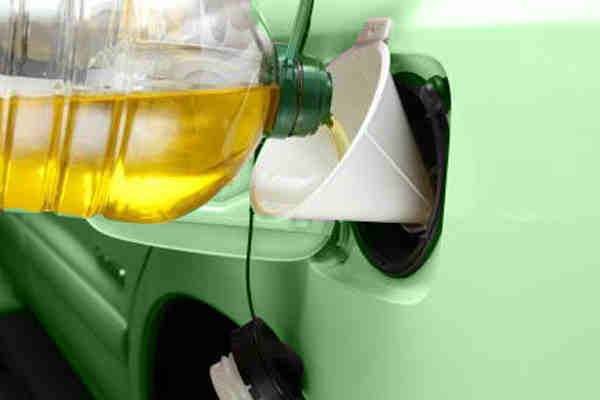 Not only this, the utilization of used cooking oil will solve the problem of its disposal. Usually, used cooking oil is disposed of by pouring it into kitchen drains. Used cooking oil when continually utilized in cooking becomes toxic and would need disposal. The used cooking oil then has detrimental environmental effects such as the clogging of drains, and most of the time, it finds itself into waterways, streams, rivers and eventually into the ocean. It is a contributor to the death of marine life and ecosystems. Emiliano Quitiol started developing his product way back in 1993 with his inspiration of stopping or at least mitigating pollution. Currently, he has already perfected his fuel additive and it is called EFQ Bioforce. “Fresh cooking oil, after several times of use, is considered a toxic substance and hazardous (to health),” Quitiol said. “Used cooking oil as raw material for the production of EFQ Fuel and Oil Additive will pave the way in solving the proper disposal of used cooking oil and will assure the public health and safety,” Quitiol said. The three products developed are EFQ Bio Force Diesel Additive, EFQ Bio Speed Gasoline Additive, and EFQ BioPower Engine Oil Additive. Quitiol availed of the Invention Based Enterprise Development (IBED) Program of the Department of Science and Technology (DOST) - Technology Application and Promotions Institute. The IBED is a program intends to encourage and transform innovations into a technology enterprise. It includes the pilot production, field/market testing and formulation of systems and procedures in preparation for a larger production scale. This will build the capacity of inventors to be entrepreneurs with their inventions as their products. The program also aims to build the capabilities of inventors to create businesses out of their inventions.